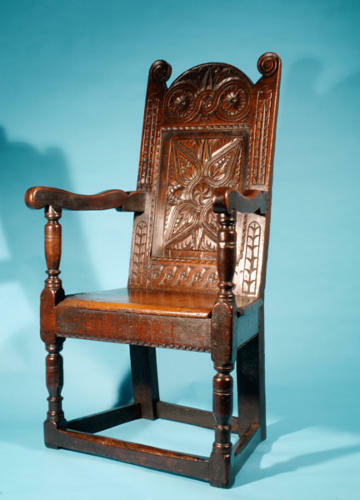 17thc Oak Joined Armchair with scroll shaped finials over palmate decorated back supports,with rosette decoration,initials T.S.impressed into the cresting rail. English/ West country. C1640-50.